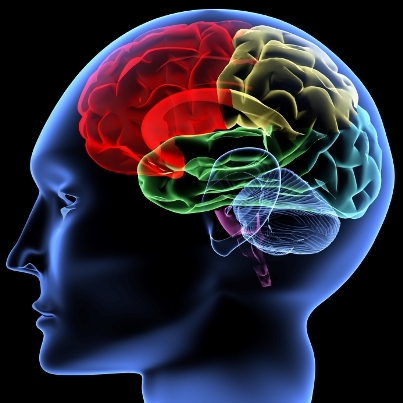 Using 100% of Your Brain – Dr. Bruce H. Lipton, What is the Feldenkrais Method? I’d be re-missed not to take this opportunity, to introduce something that is new to me and possibly new to most of you. If an individual is following orders, that individual CAN NOT be exercising Conscience, since, by definition, exercising Conscience means that one is willfully choosing for themselves Right Action over Wrong Action. “I was just following orders” is NEVER a valid excuse or “justification” for immoral, criminal behavior, and this lame attempt to abdicate personal responsibility SHOULD NEVER BE ACCEPTED as a valid excuse for such behavior. The term Justification comes from the Latin noun jus: “right; law” and the Latin verb facere: “to make; to create”. Justification = To “Create” A Right. The German Philosopher Johann Von Goethe, once said, there are none more hopelessly enslaved, than those who falsely believe they are free. “We have reached a turning point in history and the veil of secrecy that has always surrounded the illuminati system is now at last being lifted. Now is the time for the people of the world to look after each other, and not the system. It really is that simple, and the world is almost on the verge of that happening now, because a new awareness is growing among the people. More and more are waking up every day, and they are spreading the word, as we all should do as often and as loudly as we can, because the masses who are still sleeping really must be woken up to what is occurring, there is quite literally nothing more important than this issue and this plan goes even deeper than the International money Cartels. There truly are deep dark forces at work controlling things here but it is through the manipulation of the money system that global control is maintained and it is that system that must first be addressed. Preparing to end our participation, or organizing a movement for preparation for global noncompliance, has the power to cripple, the insane global system, of fear and servitude. It would also nullify the states power to use false fag operations, in that the people or masses would already be prepared, to take on situations of discomfort, shortages and general separation from government services. It would also, grow and nurture, the masses understanding and ability to be more self sufficient, and sustainable. It’s a WIN, WIN, WIN, proposal ! So, store can goods, water, and learn about sustainable growing systems. Who doesn’t like what is genuine, authentic and original? 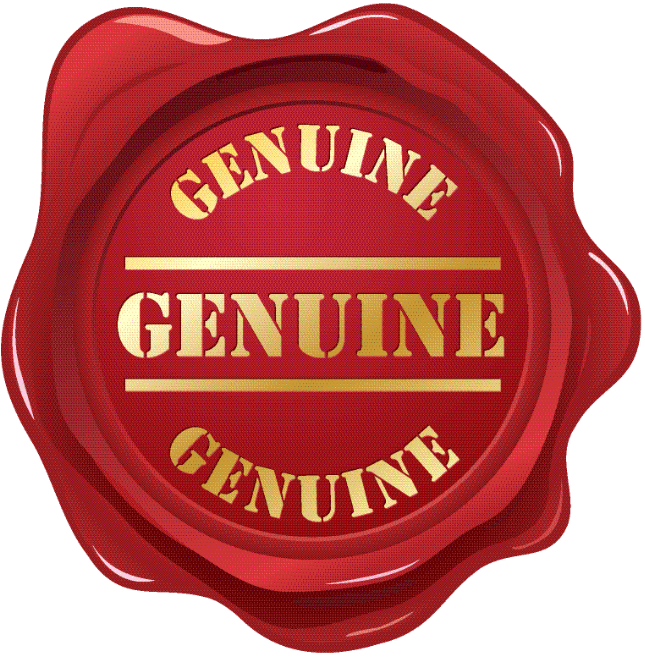 Being genuine is a trademark of success as this quality boosts self-confidence and primes vision and focus. Genuine people don’t need to fake it or pretend to be what or who they are not as there are no privileges for them to live under such a guise. However being genuine in a world where there is a lot of attention and publicity offered to products, individuals or items which end up betraying our trust makes it hard for us to be genuine. Yet it is worth it. Here is how one can know if they are genuine. Genuine people are not concerned about external factors that could bruise their esteem. They don’t need validation from their external environment since they are much less defensive about a lot of things. They are instead happy and content with who they are. Genuine people are expressive. They are not shy about sharing their thoughts or perspectives about a subject. They understand that their opinions count. It is not as if they are trying to convince others about what they have to say, rather they feel relevant enough to be heard. They know where they are going. They do not need to be pushed by conventional thoughts or opinions on how to achieve or attain their goals. They can discover the adequate channels to take as they have an internal guide on how to pursue their passions or goals. They can forge an entirely new path in the process of getting to their destination. They understand that life is a mix of wrongs and right and nothing is perfect. As much as they are able to confront their thoughts, beliefs and behaviors, they know how to identify their faults and accept them if their actions from them hurt others. They are able to offer their gratitude and accept one too. They see a compliment for what it is and do not strain such expressions. They do not over-think it or find reasons for not accepting a well displayed form of gratitude. They understand the flow of life and how much they can help in channeling that flow of acceptance and giving. Since they are honest about their abilities and they know they are not perfect they find reason to give room to others mistakes and opinions. Other humans should be given the opportunity to express themselves as we all have differing beliefs and opinions. They are not judgmental of others. They are not masked with feelings of inferiority or insecurity. They really are not concerned about other people’s opinion as they are confident and simply themselves. They do not adjust their lifestyle for you to like them or not. Genuine people see failure as a way of learning. They are not afraid to try something new and go down an unconventional route if it will be a source of experience, knowledge and satisfaction. They are far from trying to take a route because it guarantees safety and security. Rather they are happy with doing something other people are not doing to challenge the norm. You can count on them practicing what they preach. They are solid and predictable. They meet their commitments and do not try to exaggerate in their deeds or words. As genuine people they are not trying to live their lives according to other people’s standard. Even when it is hard to practice authenticity they know the importance of informing others why it is necessary to practice it. Whether it is a tough truth or not, they will still preach it. They are happy with who they are already. They are comfortable with their inner self and what is within provides the most happiness. They can find happiness in their work, their loved ones, and in their self. These simple things are enough for them to be happy. This is why they do not seek happiness from the outside whether in terms of possessions or people’s comments about them. And in Germany, 94-year-old Oskar Groening, known as the “bookkeeper of Auschwitz,” has been sentenced to four years in prison. He was responsible for counting the belongings taken from prisoners at the Nazi death camp. He was found guilty of being an accessory to the murder of at least 300,000 Jews. A new independent review has revealed extensive details on how members of the the American Psychological Association, the world’s largest group of psychologists, were complicit in torture, lied and covered up their close collaboration with officials at the Pentagon and CIA to weaken the association’s ethical guidelines and allow psychologists to participate in the government’s enhanced interrogation programs after 9/11. The 542-page report was commissioned by the association’s board of directors last year based on an independent review by a former Assistant U.S. Attorney David Hoffman and undermines the APA’s repeated denials that some of its 130,000 members were complicit in torture. The Guardian reports the new details could provide grounds to file ethics charges against members of the APA. We speak with Dr. Stephen Soldz, professor at the Boston Graduate School of Psychoanalysis and co-founder of the Coalition for an Ethical Psychology. Earlier this month, he was invited to address the APA’s board of directors with Steven Reisner on the organization’s response to the anticipated Hoffman report. And we’re joined by Dr. Jean Maria Arrigo, a social psychologist, oral historian and a member of the Coalition for an Ethical Psychology. She participated in the 2005 APA task force that condoned psychologists’ involvement in enhanced interrogations, and later blew the whistle. She has since established the APA PENS Debate Collection at University of Colorado at Boulder Archives. In A Future Brave New World Will It Be Possible To Live Forever? TN Note: Transhumanism is a global movement. In this article The Irish Times discusses everything from philosophy to singularity; basically, its about creating humans 2.0. January is a month for renewal and for change. Many of us have been gifted shiny new fitness trackers, treated ourselves to some new gadget or other, or upgraded to the latest smartphone. As we huff and puff our way out of the season of excess we find ourselves wishing we could trade in our overindulged bodies for the latest model. The reality is that, even with the best of care, the human body eventually ceases to function but if I can upgrade my smartphone, why can’t I upgrade myself? Using technology, is it not possible to live forever(ish)? After all, humans have been “upgrading” themselves in various ways for centuries. The invention of writing allowed us to offload memories, suits of armour made the body invincible to spears, eyeglasses gave us perfect 20/20 vision, the list goes on. This is something that designer and author Natasha Vita-More has been thinking about for a long time. In 1983 she wrote The Transhumanist Manifesto, setting out her vision for a future where technology can lead to “radical life extension” – if not living forever, then living for a lot longer than is currently possible. Vita-More has also designed a prototype whole body prosthetic she calls Primo PostHuman. This is a hypothetical artificial body that could replace our own and into which we could, in theory, upload our consciousness. This is more in the realm of living forever but is a concept as distant to us as Leonardo da Vinci’s sketch of a flying machine was to 15th century Europeans. Even so, while the replacement body seems much closer to science fiction than science, recent advances in robotics and prosthetics have not only given us artificial arms that can detect pressure and temperature but limbs that can be controlled by thoughts using a brain-computer interface. As a transhumanist, Vita-More is excited by these scientific developments. She defines a transhumanist to be “a person who wants to engage with technology, extend the human lifespan, intervene with the disease of aging, and wants to look critically at all of these things”. Transhumanism, she explains, looks at not just augmenting or bypassing the frailties of the human body but also improving intelligence, eradicating diseases and disabilities, and even equipping us with greater empathy. “The goal is to stay alive as long as possible, as healthy as possible, with greater consciousness or humaneness. No-one wants to stay alive drooling in a wheelchair,” she adds. Who wouldn’t want to be smarter, stronger, healthier and kinder? What could possibly go wrong? A lot, says Dr Fiachra O’Brolcháin, a Marie Curie/Assistid Research Fellow at the Institute of Ethics, Dublin City University whose research involves the ethics of technology. Take for example being taller than average: this correlates with above average income so it is a desirable trait. But if medical technology allowed for parents to choose a taller than average child, then this could lead to a “height race”, where each generation becomes taller and taller, he explains. Then there is the problem of affordability. Most of us do not have the financial means to acquire the latest cutting-edge tech until prices drop and it becomes mainstream. Imagine a future where only the rich could access human enhancements, live long lives and avoid health problems. Elysium, starring Matt Damon, takes this idea to its most extreme, leading to a scenario similar to what O’Brolcháin describes as “an unbridgeable divide between the enhanced and the unenhanced”. Despite the hyper focus on these technological enhancements that come with real risks and ethical dilemmas, the transhumanist movement also seems to be about kicking back against – or at least questioning – what society expects of you. “There’s a certain parameter of what is normal or natural. There’s a certain parameter of what one is supposed to be,” says Vita-More. Vita-More sees technology as freeing us from these societal and biological constraints. Why can’t we choose who we are beyond the body we were born with? Scholars on the sociology of the early Web showed that Cyberspace became a place for this precise form of expression. Maybe technology will continue to provide a platform for this reinvention of what it is to be human. Maybe, where we’re going, we won’t need bodies. There was a time when renting yourselves out to a job was considered the wage slavery that it is, but now your use to it, proud even to be a slave. Wage slavery refers to a situation where a person’s livelihood depends on wages or a salary, especially when the dependence is total and immediate. It is a pejorative term used to draw an analogy between slavery and wage labor by focusing on similarities between owning and renting a person. It’s only a small collection of excerpts from the one hour long discussion with UC Berkeley’s Harry Kreisler for the UCTV series “Conversations with History”. That particular episode was titled “Activism, Anarchism, and Power”. The full discussion is also available here at YouTube (http://www.youtube.com/watch?v=8ghoXQ…).